Find the Perfect Washer for You. 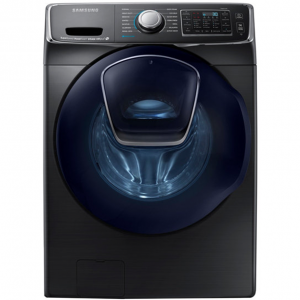 Samsung Washers are packed with innovations to make washing smart and fast. Their front load, top load and 2-in-1 washers are sleek and efficient in every way. 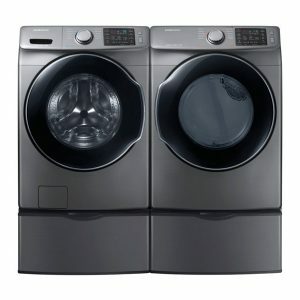 FlexWash Washers – Two washers in one lets you wash separate loads at the same time, or independently. 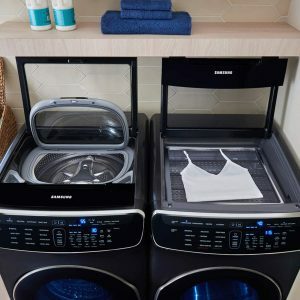 With two individually controlled washers in the same unit, you can run two kinds of washes with different settings and options, keeping your various types of clothes clean and in great condition. 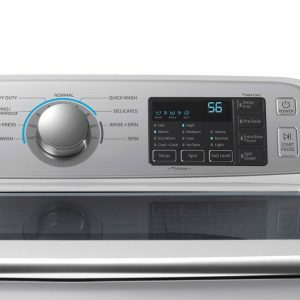 ActiveWash – Add a sink right inside your washer for all your stain removal and pre-washing needs. 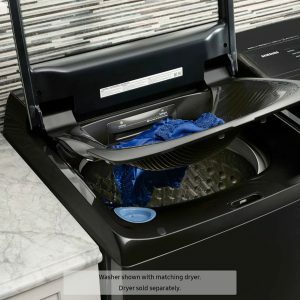 Scrub and soak with the help of the water jet, and when you’re ready to wash, simply lift the sink to let items fall into the washer. 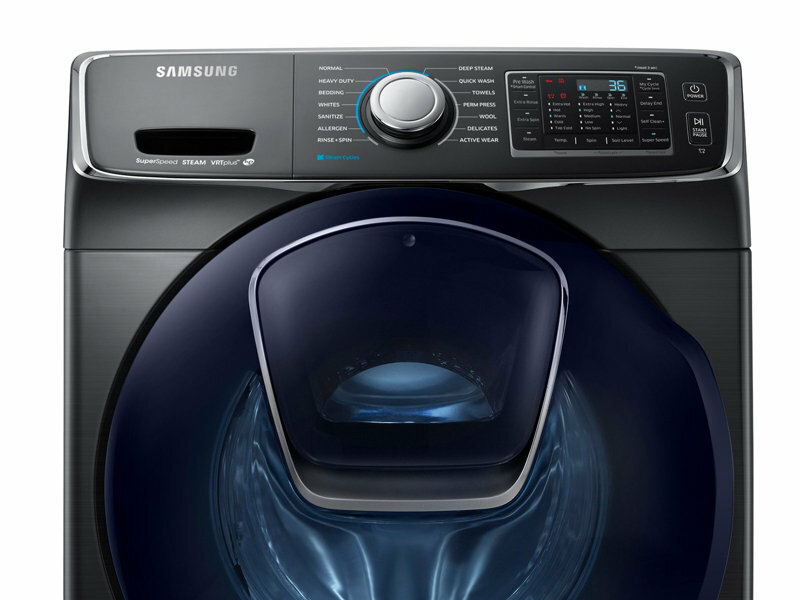 Super Speed – Wash a full load in as little as 30 minutes. Select Super Speed to power through laundry day 50% faster without sacrificing cleaning performance. 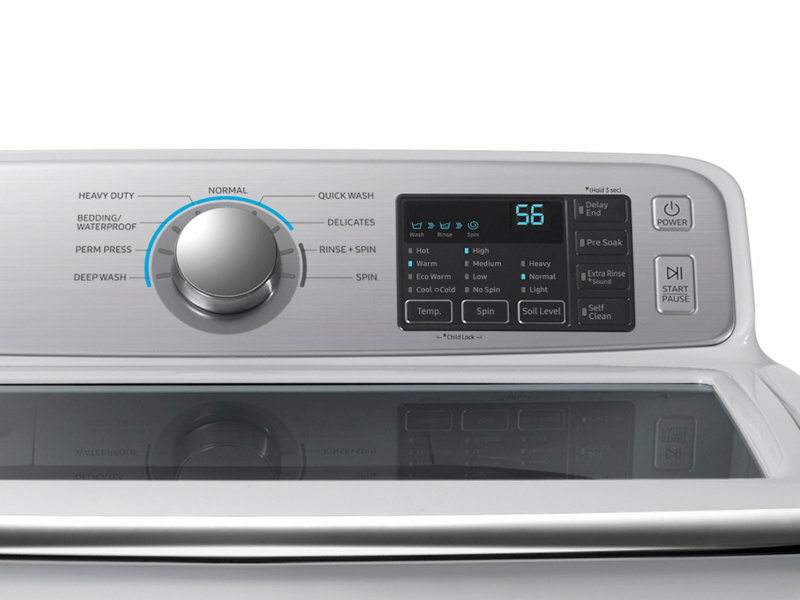 Steam Wash – Uses the power of steam to remove stains without pre-treatment. 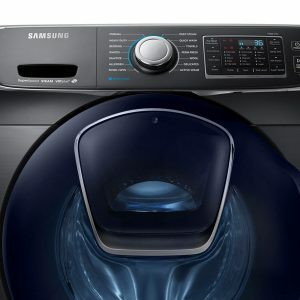 Unlike other washers which release steam from above, Samsung releases steam from the bottom of the laundry tub, saturating every item in the load and leading to an even deeper clean. Wi-Fi Connectivity – Remotely monitor remaining cycle time, receive alerts when the cycle is complete, and schedule cycles from anywhere using your smart phone device. 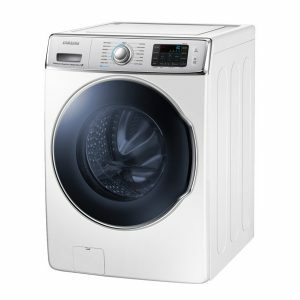 Know your wash is done, without having to wait at home until the cycle ends. 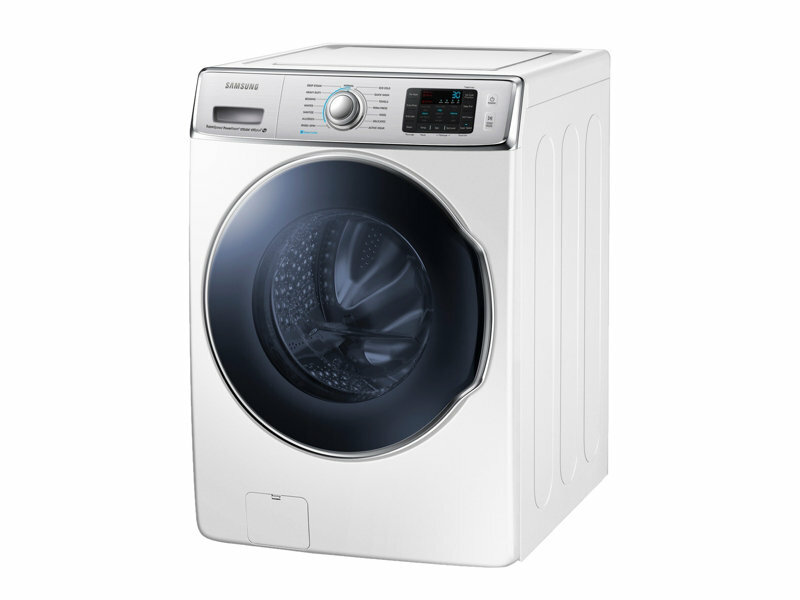 VRT Plus Technology – Reduces vibration 40% more than standard VRT for quiet washing. 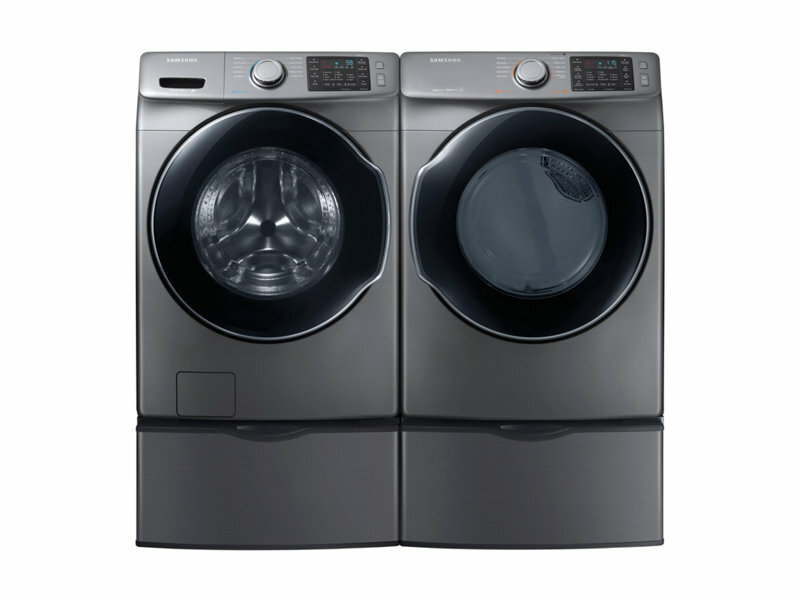 An innovative tub design and special sensors keep heavy loads balanced even at high spin speeds. 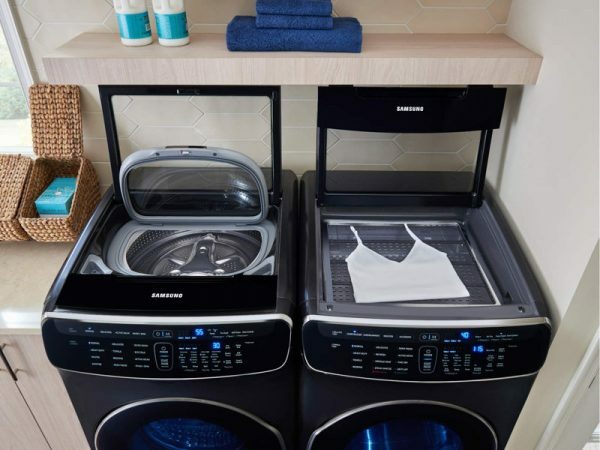 Self Clean – Keeps your laundry drum fresh and odor-free without the use of harsh chemicals – through a combination of soaking, pulsating and high speed spinning. 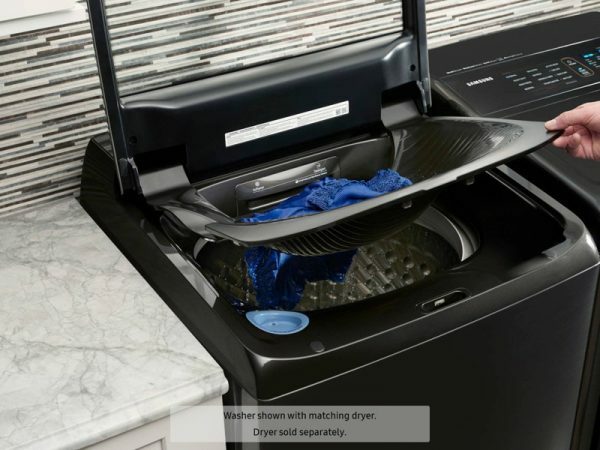 Self Clean also sends reminders to clean the drum every forty wash cycles. Power Foam – Optimizes your HE detergent performance to penetrate and cleanse fabric more deeply. Our unique PowerFoam™ technology uses an innovative mixture of water, air and detergent to penetrate deep into the heart of fabric. Confidently deep clean even your bulkiest items with the power of foam.